At CES this week JVC have unveiled their new JVC Everio range for 2012, which have now dropped cables for wirelessly WiFi connections. The new Everio EX, VX and GX range of camcorders and now all fitted with Wi-Fi connectivity. Making uploading videos to your YouTube account even easier. Together with wireless transfer support of files to Android or iPhone/iPad devices. Other features included in the new ranges offer the ability to automatically emails pictures or 15-second videos taken with the movement detect function is needed. 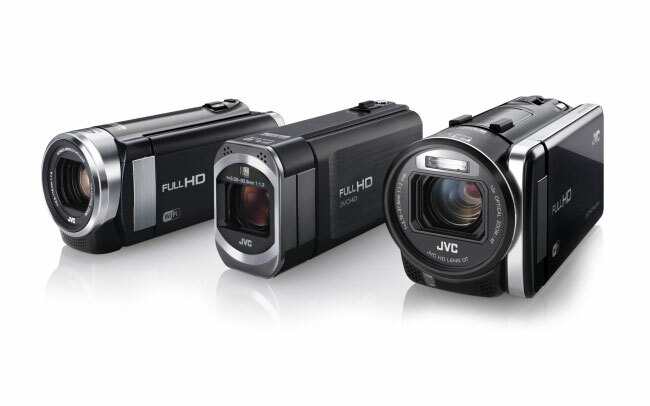 All the camcorders within the ranges are equipped with Full HD AVCHD shooting, 24 Mbps sampling rate and an HDMI-out. For the full run down of the entire Everio 2012 lineup jump over tot he JVC website, or checkout the comparison chart created by JVC here.